The technology behind Lokad helps general merchandise retailers of any size to increase their product availability while minimizing the amount of inventory they hold both at the store level and at the warehouse level. The very high level of automation associated with Lokad makes it suitable even for complex product selections without having to involve extra manpower. 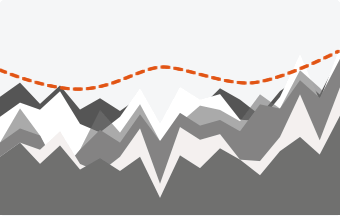 The quantile forecasting technology is specifically tailored to support high service levels, even when sales are both intermittent and erratic. 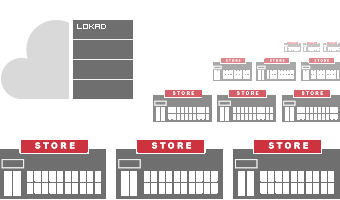 In addition, through cloud computing, Lokad is capable of scaling up to thousands of stores. Lokad imports historical sales data and directly produces inventory forecasting; and when we say “directly”, we mean it. There are no statistical configurations of any kind involved when generating forecasts using Lokad. This makes Lokad easily accessible to its users, even those without any statistical skills. When manual interventions are expected to ensure that forecasts are operating properly, there is no end to it: there are too many products, too many stores. Many classic forecasting solutions offer the possibility to “tune” the forecasts, but, as far as general merchandise retail is concerned, we have observed over and over again, that such features are severely misleading. When manual interventions are expected to ensure that forecasts are operating properly, there is no end to it: there are too many products, too many stores. Total automation is simply the only option in this case. Lokad's unique forecasting technology leverages correlations between products. Indeed, when looking at a single product, there is almost never enough historical data available. Fortunately, companies often sell hundreds, if not thousands, of products at the same time, and thus, by leveraging all the patterns that can be observed in relation to the other goods in a product catalog, Lokad skips the complex need to “tune” the forecasts manually. This can be seen as undesirable "blackbox" behavior, but our experience indicates that even simple linear forecasting models do, in practice, behave like blackboxes for retail networks, because there is never enough time to manually review more than only a tiny fraction of the results produced on a daily basis. Classical forecasting systems are also plagued by edge-cases: products with too little sales history, products with too little sales volumes, products with unclear seasonality profiles, etc. Our forecasting technology leaves no product behind, to ensure a 100% coverage of the entire assortment. Advance forecasting models that leverage correlations between products and stores are a must-have for retail networks, precisely because they have so much data to correlate in the first place. 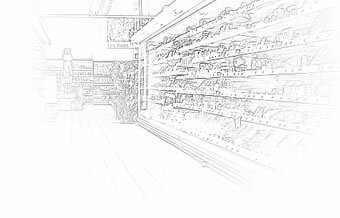 At the store level, the vast majority of products are associated with intermittent demand patterns, whereby only a handful of distinct product units are sold every day. Yet, even if a product is only sold once per week, most retailers seek to deliver high service levels to keep their customers satisfied. Through its quantile forecasting technology, Lokad can deliver accurate inventory forecasting results even for products that are sold very infrequently. Classic forecasting solutions rely on classic forecasts, that is, median forecasts, or in other words forecasts that have a 50% chance of being above or below the future demand. However, at the store level, classic forecasts simply do not work because the majority of products are sold less than once per day. A forecasting technology that directly answers a simple question: how many units of product X do I need in order to achieve the service level Y? Some tools try to address this problem by forecasting at the weekly or even monthly level in order to disaggregate higher-level forecasts into fractional forecasts, but the amount of errors associated with such methods is quite staggering. Using classic forecasting for inventory optimization addresses the issue from the wrong angle. Lokad has developed a statistical forecasting technology for retail that directly answers the following simple question: how many units of product X do I need in order to achieve the service level Y? Instead of trying to answer this question through a very indirect and a highly inaccurate route that typically involves median forecasting and safety stocks, Lokad’s technology allows to deliver a direct answer through quantile forecasts. As a result, since Lokad’s forecasting method is direct, and not indirect as with classic forecasting, the inventory performance delivered by quantile forecasts vastly exceeds the performance obtained through the classical approach. Delivering advanced statistical forecasts for up to thousands of stores can require a tremendous amount of processing power. Lokad delivers this processing power through its usage of Microsoft Azure, the cloud computing platform of Microsoft. Due to our work here at Lokad, we have been awarded the first Azure Partner Award from Microsoft back in 2010. In particular, Lokad leverages a technique known as auto-scaling, signifying that as soon as a forecasting job needs to be carried out by Lokad, we dynamically provision the servers on Microsoft Azure (potentially hundreds of them depending on the scale of the retail network), and we immediately use these servers to deliver forecasting results in less than 60 minutes. As soon as a calculation is completed, all servers are de-provisioned. Since inventory forecasts are almost never needed more than once per day, auto-scaling offers a direct hardware cost reduction of a factor 24; a reduction that can be passed on to our clients. However, the actual reduction of the hardware cost arises from the fact that we have developed a technology that is heavily geared towards the high-performance processing of retail data. While the reordering process at the store level is typically relatively simple, purchasing strategies at the warehouse level can be quite complex. Through the scripting engine of Lokad, it is possible to turn regular demand forecasts into correct purchase orders that take into account price breaks, shipment fees, warehouse capacities, lead time variations, etc. Priceforge can also be used to establish all the highly industry-specific KPIs required by managers to track the overall inventory performance of the network.